Can you believe it’s already January 21st? How is that even possible?! The first month of 2019 is already almost over and it feels like it just started two days ago. I don’t know how it’s going so quickly, but I hope your year is off to a great start so far. It’s actually been pretty darn good over here. I’ve made some changes in my personal life that are going very well, and life seems to be a little less hectic than normal, which is always a good thing. Anyway, today’s post is a fun one because I’m taking a look back at the top ten items, purchased from my blog in 2018. I sat down this weekend with a cup of coffee and went through my analytics to see which items you all loved the most. It was so cool to see what you all enjoyed throughout the year, and I have to admit that I was REALLY surprised to see what items made the list. 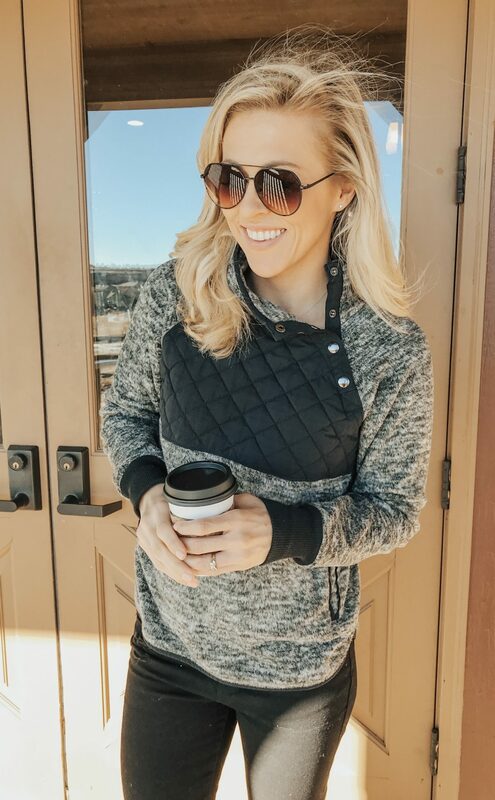 It’s a fun mix of clothing and home decor, so I thought it would be fun to share them all with you today! 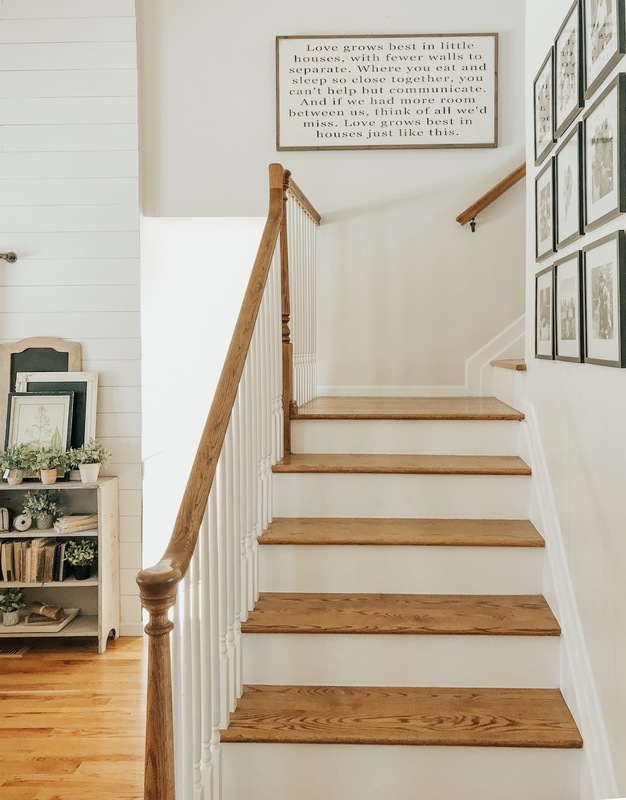 Wire Iron Wall Basket—This large wall basket has been a hot item on my blog ever since I first posted about it in our kids’ playroom two years ago. But unfortunately this thing is never in stock. I try to always let you guys know when it’s back, but it goes super fast! Wreath Storage Bag—I was definitely surprised to see this wreath storage bag so high up on the list, but it really is awesome. I use mine for storing Christmas wreaths and garland, but this would obviously work for any wreath or large greenery. It’s HUGE, so you can really get a lot of stuff in there. Mini HI Wood Cut Out–-Again, another item I was surprised to see, but this mini HI wood cut out was a bit hit. 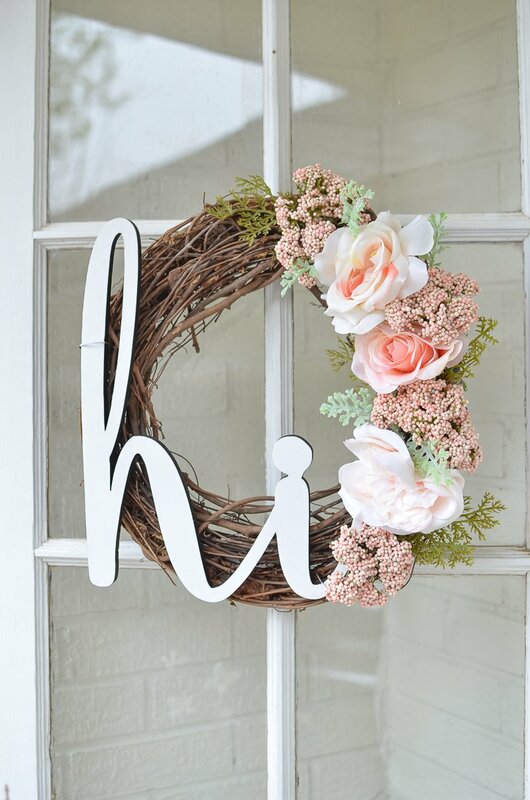 I used it in this DIY Summer Wreath back in 2017 and I never imagined it would be so popular, even now! 5. Elan Black Maxi Dress–Can we just talk about how much I LOVE this black maxi dress?! 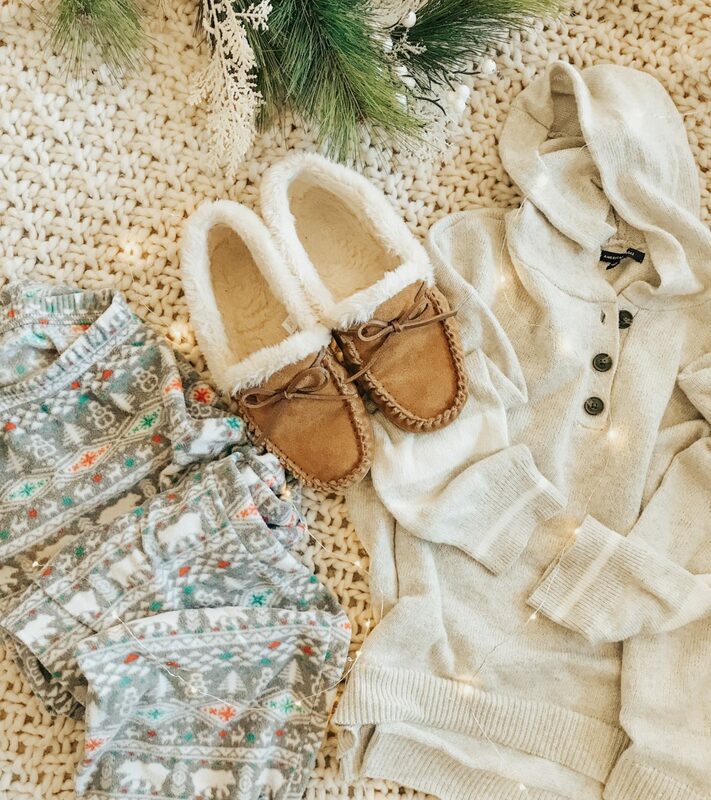 It’s light, airy, and it basically feels like wearing pajamas. I posted about this a few times last year and so many of you loved it too. It’s definitely one of my favorite clothing items! 6.Suede Sherling Slippers–Whoa, these cozy suede slippers were a huge hit and I didn’t even share them until late November! But you all loved them as such as I did. And I have to say, it’s been a few months now and I still wear these Every. Single. Day. I’m wearing them right now in fact. Best slippers ever!! And they don’t cost a fortune. Youati Ivory and Gray Area Rug–This area rug is something I get questions about all the time, so I’m not surprised to see it on my top ten list. We have two of these–one in our bedroom and living room. They’re both still holding up great, despite all the spills and messes that come with three kiddos! See it here. 8. Chunky Knit Throw–I was really happy to see a throw blanket make the top ten list because I obviously have an obsession with them! This white chunky one is still one of my favorites and it’s a really great price too, plus it comes in a few different color options. 9. Lash Princess Mascara & Kitchen Towels–I’m including two items for number nine because it was pretty much a tie between this mascara, which I fell in love with earlier this year, and these white kitchen towels. Both are from Amazon! I had so much fun putting this list together and I hope you enjoyed it too! I’m so grateful for all of your support in 2018. Every purchase you make through my blog helps keeps this little show running and I truly appreciate it more than you’ll ever know. I’m so excited for another year with you guys. And one thing I learned from putting this list together is that you all love clothing and beauty finds as much as I do, so I will definitely be sharing those items more often on the blog in 2019! Changes & Goals for 2019! So fun to see what everyone loved! I want to try this mascara! Can you tell me if you got the sculpted volume or false lash effect? I love pretty much everything you recommend and would probably buy one or more of everything if I could!!! I believe it was the sculpted volume mascara!! Thanks! I think I’m gonna try it! For $5 why not?!? oh that’s awesome Heather, aren’t they great?! Thank you for sharing the list! 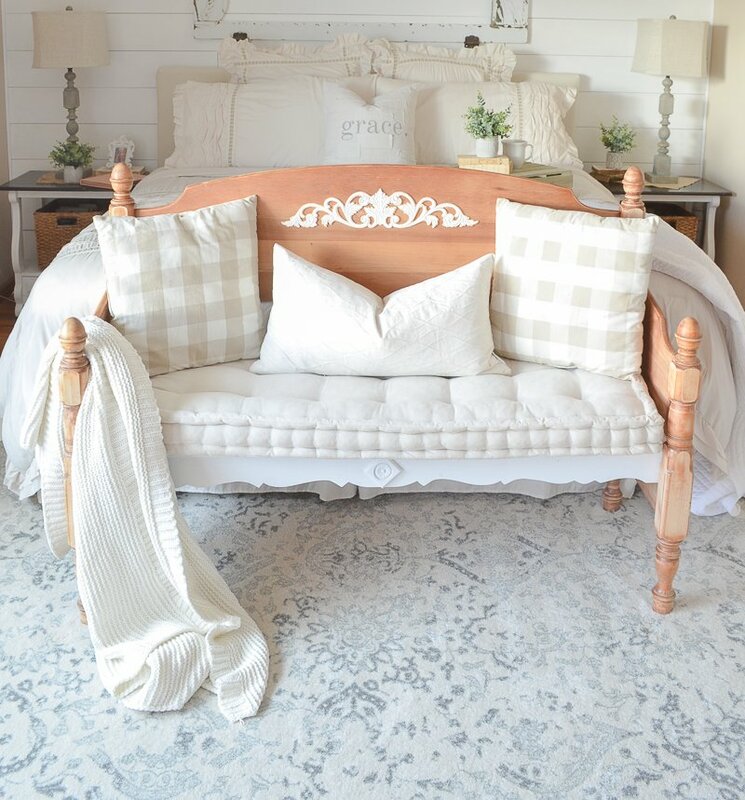 I have a question: in the picture of the bedroom those pillowcases/or bed shams where did you get those? They look so cute and fabulous, I would love to purchase them! Thanks! Just ordered the slippers! They are 50% off and have free shipping today! $26 total!!! oh yay!! hope you love them Brenda! Hey Sarah…could u tell me where u found the cushion on bench at end of ur bed plz?? That’s actually from Pier 1! Hi Sheila, thanks so much for your support! I truly appreciate it. And I def agree about sharing more things for different shapes and sizes–will do! Sarah, Your so inspiring!!! Wondering where you got the night stands in your bedroom? Thank you Laureen! Those are super old nightstands–They were handy-downs that I painted a few years ago! That was a fun post! You just never know what people are into. Right?! It was really interesting to see what people loved last year.